CFO and ESF related news and recent information. Check back often. ESF Project Bulletin - Jan 18. Happy New Year! This is the sixth edition of the European Social Fund Project Bulletin. 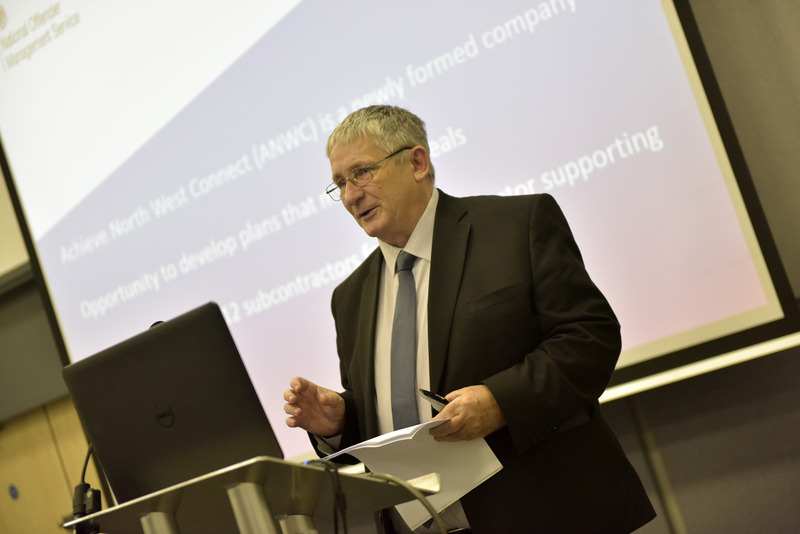 The bulletin, issued by the ESF Managing Authority in the Department for Work and Pensions, is aimed at partners delivering ESF projects to keep you up- to-date with the latest news and developments in the programme, and help you deliver your project in line with requirements. 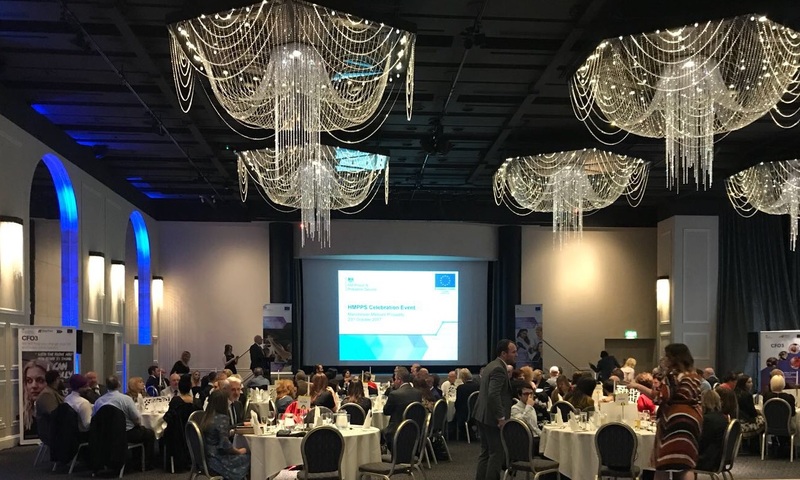 In October, HMPPS CFO hosted an award ceremony to promote the great work which is being done with offenders by providers in prisons and the community across England. CFO3 is part funded by the European Social Fund and delivers provision to increase mainstream opportunities for offenders. Providers were asked to nominate individual staff members or small projects within their delivery for a range of award categories. The nominations gave us great insight into the work carried out by Case Managers and Projects, in order to help support the hardest to reach offenders, the group targeted by CFO3 provision. We were fortunate enough to have some key spokespeople at the ceremony; Catherine Blair (Head of European Social Fund Division), Sue Taylor (Community Interventions Operational Delivery Unit) and representatives from the Managing Authority Publicity Group, who said they enjoyed the evening and appreciated being able to see the hard work being done in prisons and the community. We would like to thank all who attended, especially those who had to travel long distances. The feedback has been really positive and we hope it has given staff positive recognition and the drive to continue with the good work. As a recap, you can click here for more information on the categories, nominations and winners. As some of you may be aware, we requested nominations for this year’s Festival of Learning Awards. The Festival of Learning was established to inspire and support people from all backgrounds to celebrate the benefits of lifelong learning, however, much to our disappointment, we learned that there was no funding this year for an ESF award category. On a positive note, the nominations from CFO3 were still recognised. 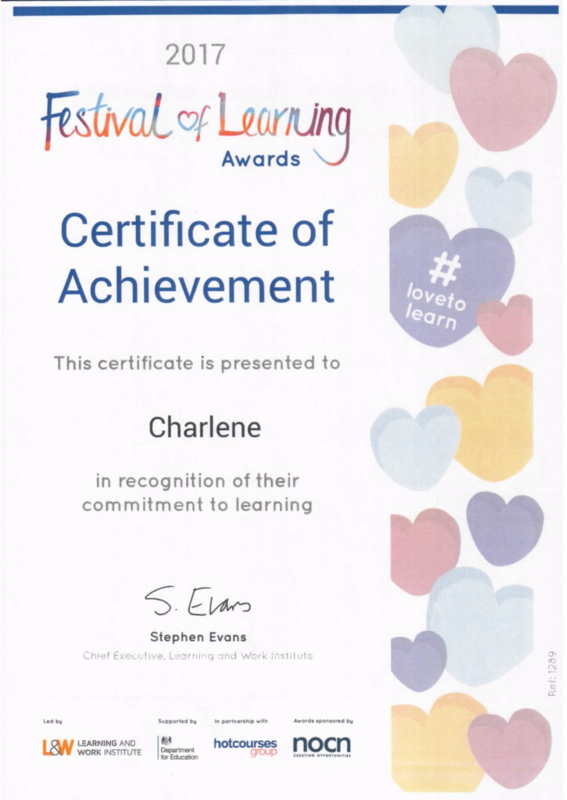 We are really pleased to have received the below certificate from the team at the Festival of Learning for the achievements and hard work along the journey of a Participant for the Shaw Trust Contract. We would like to pass on our congratulations to Charlene. We are extremely pleased to hear of such achievements and wish her continued success for the future. 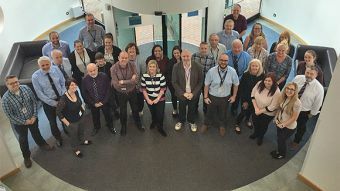 The first ever Ministry of Justice Group Awards were held in July this year, recognising exceptional work across the department, including agencies and arm’s length bodies. HMPPS Co-Financing Organisation won the Collaboration and Partnership category. The team was responsible for accessing external funding to provide interventions for hard-to-reach individuals, and since 2010, they have secured approximately £300m. The awards provided an opportunity to celebrate the accomplishments, dedication, and work of teams and colleagues who, every day, work together to protect and advance the principles of justice, providing important services to the public. Festival of Learning ESF nominations are now open. Festival of Learning celebrate the many benefits learning can have for everyone, and recognise individuals, tutors, employers and projects where learning has changed lives. You can nominate within any of the following four categories. Awards within these categories include Young Adult Learner, Learning for Work, Social Impact, Outstanding Individual, Patron's and President's awards. Nominations close at 5pm, Friday 31 March 2017. Please email [email protected] with nominations. Building on the success of 24 years of Adult Learners’ Week, The Festival of Learning is a national celebration of lifelong learning organised by the Learning and Work Institute. There will be awards specifically for learners and projects funded through the European Social Fund. Please download Festival of Learning 2017 awards guidance notes before starting your nomination. ESF Cross Cutting Theme Awards. 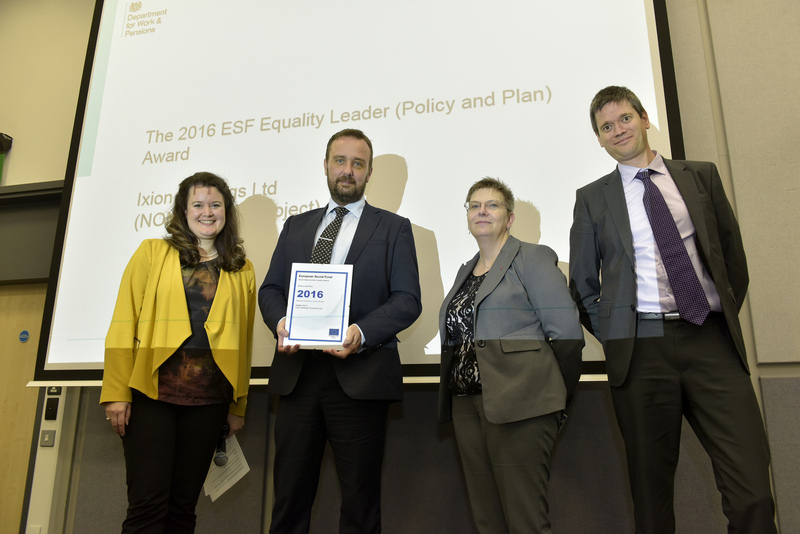 The 2016 ESF (Equality and Sustainable Development) Leader Awards took place on the 17th November at the NEC Skills Show in Birmingham. 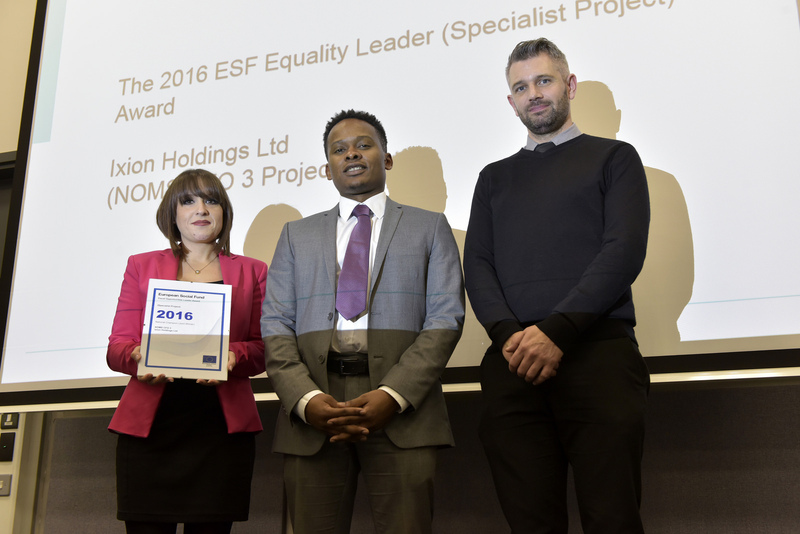 The awards celebrated ESF projects who ‘go the extra mile’ in promoting equal opportunities and sustainable development. 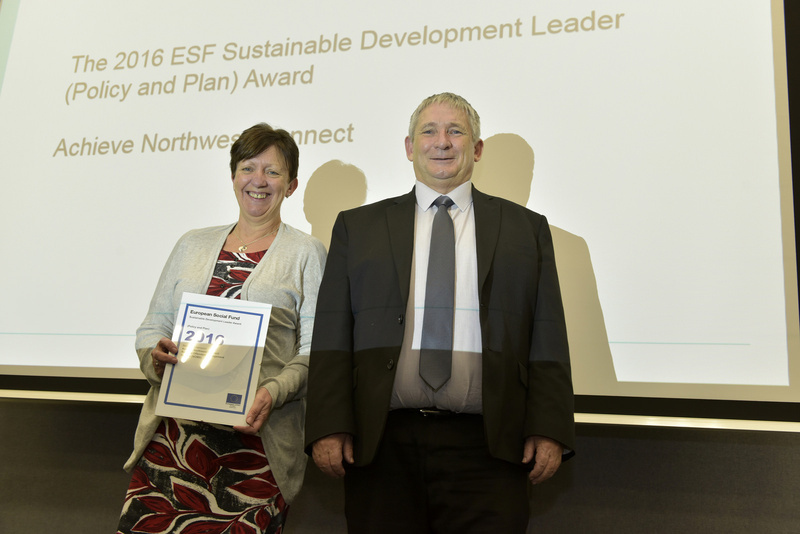 The awards aim to move the ESF mainstreaming agenda forward by promoting the award winners’ good practice with other partners across the programme. CFO would like to congratulate all the nominees and award winners and thank you for your contribution. Festival of Learning winners story online. Festival of Learning (previously Adult Learners’ Week) is a national celebration of lifelong learning, with 'Have a Go' learning events taking place during May and June. Employment Minister Priti Patel launches the £2.5 billion European Social Fund (ESF) programme for England at Styal prison in Cheshire. The official launch of the ESF 2014-2020 programme for England took place on Monday (25th January). 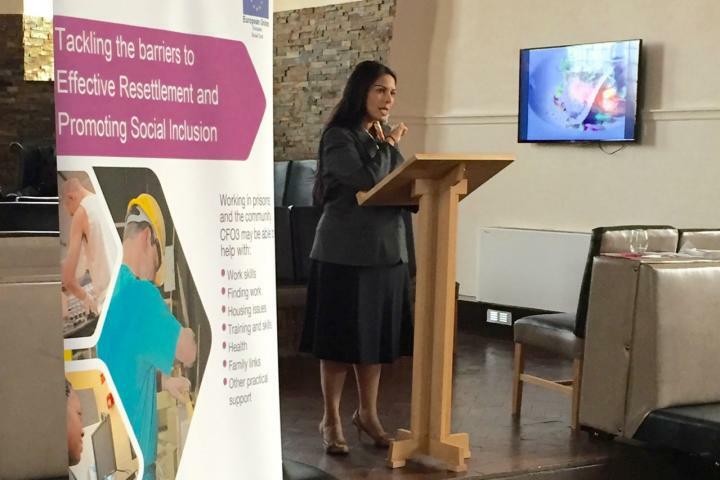 Employment Minister Priti Patel announced the programme, which will fund employment, skills and inclusion projects - including support for offenders both in custody and in the community - during her visit to HMP Styal which is receiving ESF funding to help female prisoners get ready for the world of work. "There is no better place to launch this funding than HMP Styal, where the money is already having such a positive effect. The funding announced today will support countless projects which are reaching out to people just like this one. It is an inspirational example of how the funding can change lives and move people closer to employment." More information available from the offical press release. The CFO3 provision for the European Social Fund (ESF) 2014-2020 Operational Programme is now delivering throughout England. The CFO3 provision for the European Social Fund (ESF) 2014-2020 Operational Programme tender process has concluded, with contracts awarded in nine Economic Contract Areas (ECAs). For more information on the awarded contracts, click here.